Andre's Fortress: We made it to Russia! Yes! I'll be honest. I had no idea that Jedinak would be such a massive influence over the two legs. I knew we needed his grit and roughness, but I didn't know we would be so utterly dependent on him. So what's the worst possible draw for us at the 2018 FIFA World Cup? What would be a kind draw for us? What would be a memorable/interesting draw? Which teams from Pot 4 are the most likely to get out of their Group, in theory? Which teams from Pot 4 will everyone want to draw? 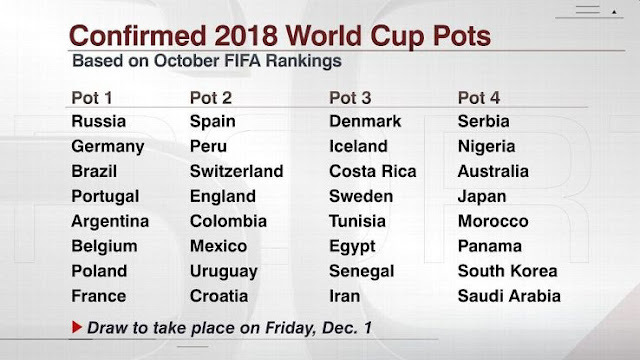 Which teams from Pot 3 will everyone want to draw? Which teams from Pot 2 will everyone want to draw?